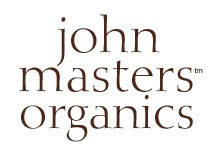 John Masters is a NY hair stylist, famous for his colouring abilities and commitment to natural products. He’s been experimenting with organic products for nearly 20 years, and is pioneering “clean air” salons, meaning that his salons only offer herbal and ammonia-free treatments, thereby avoiding those terrible chemical smells. No SLS, parabens, No GMO’s, no petrochemicals, no animal testing, no artificial colour, fragrances or fillers, all plant extracts and oils must be organic, fairtrade, proven to be beneficial, and packaging is to be biodegradeable. “Spray on and get that extra body and wave that you love at the ocean. Essential oil of lavender helps protect the hair from natural drying effects of sea salt. Spray desired amount on wet or dry hair. Style as desired”. I found that a bit vague (and there’s at least one too many “desired”s there, let’s face it). What is the “desired” amount? I realise everyone’s hair is different, but the first time you use a product, it’s at least slightly helpful for a product to make some suggestions as to how to use the product properly. Oh man. My hair already expands to fill any available space at any opportunity unless it’s regularly beaten into submission styled with straighteners, so using this product was a massive – and I mean that literally – mistake. The bouffant candyfloss confection I ended up with would have made Barbara Cartlands heart skip a beat. I got complaints from the neighbours about blocking out the sunshine. On the plus side, I didn’t need a crash helmet for a few days, so it wasn’t all bad. Would I buy it again? Heck no! Smells lovely, but it’s hellishly expensive for what is basically a bottle of salty water with some essential oil in it (mine cost £16 from Debenhams). Might work wonderfully on someone with finer hair than mine though, and it would be great for someone with oily hair to help keep that under control, but for me, it’s a big fat zero. Review 2 – Honey and Hibiscus Hair Reconstructor. This is a gloriously-smelling product that’s just a delight to use. I was convinced this was going to be rubbish, but I’ve used this three or four times since I bought it and it leaves my hair shiny, sleek and lovely. I hesitate to say it’s worth every penny of the £28 I paid for it, but it is a very good product indeed. I’d recommend it for anyone with coloured, dry or damaged hair.